For more than 68 years, Doughboy has been a household name that has stood for quality, innovation and backyard family fun. Since then it has been a goal to give consumers peace of mind about the longevity, maintenance and safety of a Doughboy pool. "It's Got To Be A Doughboy"
Passionate about innovation and state-of-the-art engineering, SunRise Spas is committed to "Best In Class" quality and features. For over 25 years, SunRise Spas have been setting industry benchmarks in over 40 countries. Expertly crafted; from the structural foundation to the exquisitely detailed final touches, we ensure every hot tub manufactured by Sunrise Spas is the perfect way to improve your health, rejuvenate mind and body, entertain friends and relax with family. SunRise Spa models feature an ergonomically enhanced design; a range of jets and controls engineered for optimal hydrotherapy; multi-coloured LED lights for chromatherapy; a proprietary insulation and filtration system to reduce maintenance needs and operating costs; and they're built with materials that will last a lifetime. Designed with the user in mind, each spa is built to be the ultimate in relaxation and enjoyment. As an industry leader, DreamMaker Spas has years of experience using rotational molding technology. DreamMaker continues to innovate the process and holds several industry-leading patents. These environmentally friendly, lightweight and portable spas are available in a wide variety of models with three different colors to choose from. From the energy efficiency, jet placement and design, durable rotationally molded body and digital controls, you'll be sure to be LIVING THE DREAM in a DreamMaker Spa. For over 55 years, PoolTown has combined experience and expertise with the highest quality products available to bring you custom in-ground swimming pools. These steel wall vinyl liner in-ground swimming pools are built to fit your backyard and your budget. With dozens of pool shapes available and the ability to create custom shapes and sizes, PoolTown can design any pool that fits every need, taste and interest. Give us a call today to set up an in-home consultation to see how we can help you build the pool of your dreams. With a pool in your yard...water, sun, family and fun will all be only a few steps away. When you invest with an In-ground pool from PoolTown, every day can be a vacation day! C.R. Plastic Products has been committed to designing and producing the very best in environmentally sound, recycled plastic casual outdoor furniture for over 20 years. Whether it's the advanced moulded extrusion process for a stunning wood grain or the exceptional weather resistant hardware used on every single piece, C.R. Plastic Products always pays close attention to the details. Bringing you the most stylish, comfortable, and long-lasting products you can enjoy day in and day out while also helping protect our environment is top priority for C.R. Plastic Products. Swimming pool chemicals are essential to keeping your pool water crystal clear and safe for everyone to swim in. From chlorine to bromine, shock to pool clarifiers and algaecide, PoolTown delivers the pool chemicals you need to maintain a healthy swimming pool at the GUARANTEED best prices. With brands like King Technology Pool Frog, Natural Chemistry, Haviland, Baquacil, and our very own private label, we sure to have what you're looking for. Featuring a special virgin vinyl formula that resists chemicals and ultraviolet rays, therma-seal technology which gives the liner a 100% lifetime warranty and exclusive 20 and 25 mil "TRUE" expandable liners, there's no wonder the Doughboy liner is hands down the best in the industry. Pool accessories make your swimming experience a lot more fun and uniquely yours. Whether its a brand new pool light, fountain, ladder or heater, your sure to find the best selection, quality and value at PoolTown. Carrying brands like Doughboy, Hayward, Pentair, Smartpool, Ultimate, Lumio, Innovaplas, G.A.M.E., Intex, Swimline, Pleatco, Swimline, and Horizon were sure to have what you're looking for. Make swimming pool maintenance a breeze with PoolTown's wide selection of vacuum heads, skimmer nets, brushes, hoses, poles and much much more. 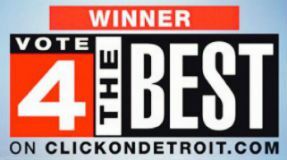 Visit one of our seven convenient locations and check out the largest selection in Michigan. Even the most beautifully designed pool can lose its appeal without sparkling clean water. Pool filters collect the dirt, bugs and debris that floats in your pool making your pool water more pleasant. Having a good pool filter is a must for maintaining healthy, clear water. PoolTown's large inventory of pool filters includes sand pool filters, DE pool filters and cartridge pool filters by manufacturers such as Doughboy, Hayward, Pentair, Waterway and Intex. Whether its an above-ground pool or an in-ground pool, an automatic pool cleaner can make the life of a pool owner much easier. From hand held vacuums to robotic cleaners, PoolTown carries a wide variety of automatic vacuum cleaners at many different price points. Visit any of our 7 convenient locations to check out our vast selection from Doughboy, Embassy, Polaris, SmartPool and much much more. From hot tub chemicals to accessories, PoolTown has you covered. A pool pump is an essential part to your swimming pools functionality. Whether you have an above-ground or in-ground pool, PoolTown has a large selection of pool pumps perfect for your budget and equipment set up. With brands like Doughboy, Hayward, Pentair, Waterway and Intex, you'll be sure to find what your looking for at any one of our seven convenient locations. Splash on into one of Michigan's largest selections of Pool Floats, Lounges and Toys. The right pool floats and toys can add to the Summer fun of being a pool owner. 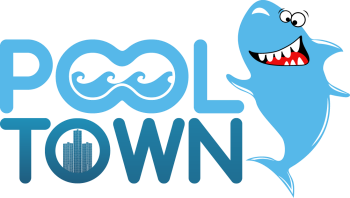 PoolTown's extensive selection includes pool toys and floats includes lounges and floating chairs, fun inflatables for kids or adults, along with air pumps to fill them all up. Along with our pool toys and floats, we offer an excellent selection of swimming pool games (basketball, volleyball, water polo, etc) that are fun for everyone. PoolTown is your Intex pool supply headquarters. Visit one of our seven convenient locations and check out our vast selection of Intex sand filters, cartridge filters, parts, pool covers, replacement cartridges and much much more.